A new infographic looks at cinema's biggest wagers. Who do you think has made the biggest on-screen bet over the years? 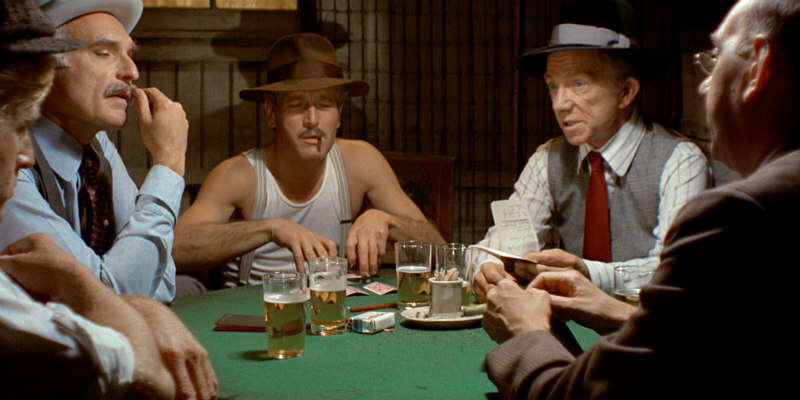 From characters like James Bond to ‘The Kid’, we’ve seen a lot of money be won, and plenty of money lost. Movies set as far back as the 1800s have made VegasSlotsOnline.com’s infographic list of greatest on-screen bets of all time. Maverick, a '90s film set in 1875 follows a high-stakes poker game on a steamboat named Lauren Belle where cheaters are thrown overboard. The protagonist, Bret Maverick, wins the top prize of $500,000, equivalent to $10.5 million today. Moving forward to the '20s, a season 4 episode of Boardwalk Empire saw ‘Nucky’ Johnson play a game of cards against the infamous real-life mobster Arnold Rothstein and win a total of $400,000, or $5.5 million in today’s money. In the '60s, a rollercoaster tale of a pool player named ‘Fast Eddie’ Felson takes on ‘Minnesota Fats’. He begins the movie $18,000 up, but by the end of the film is down to $200, making a total loss of $150,000 in today’s money. In present times, big wins and losses pop up in everything from TV cartoons like South Park to Hollywood rom-coms like What Happens in Vegas. Big action movies like Casino Royale have us clinging to the edge of our seats as the sharp James Bond wins $115 million in a very tense situation, and Brad Pitt and George Clooney parade around as conmen in Oceans 11, winning $15,000. With all the information put together in this handy infographic, we’ll leave it up to you to decide who’s made the best on-screen bet of all time.